Use the Simulink® Model Advisor checks to configure your model for simulation. Simplified initialization mode was introduced in R2008b to improve the consistency of simulation results. This mode is especially important for models that do not specify initial conditions for conditionally executed subsystem output ports. For more information, see Simplified Initialization Mode and Classic Initialization Mode. Use the Model Advisor checks in Migrating to Simplified Initialization Mode to help migrate your model to simplified initialization mode. Check for unconnected lines or ports. This check lists unconnected lines or ports. These can have difficulty propagating signal attributes such as data type, sample time, and dimensions. Ports connected to ground/terminator blocks will pass this test. Lines, input ports, or output ports are unconnected. Connect the signals. Double-click the list of unconnected items to locate failure. Run this check on your library models. Exclude blocks and charts from this check if you have a Simulink Check™ license. Use the PortConnectivity command to obtain an array of structures describing block input or output ports. Common Block Properties for information on the PortConnectivity command. Check that root model Inport blocks fully define dimensions, sample time, and data type. Using root model Inport blocks that do not fully define dimensions, sample time, or data type can lead to undesired simulation results. Simulink software back-propagates dimensions, sample times and data types from downstream blocks unless you explicitly assign them values. Root-level Inport blocks have undefined attributes. Fully define the attributes of the root-level Inport blocks. If you have a Simulink Check license, you can exclude blocks and charts from this check. For export-function models, inherited sample time is not flagged. About Data Types in Simulink. Check for optimizations that can lead to non-optimal code generation and simulation. This check reviews the status of optimizations that can improve code efficiency and simulation time. The specified optimizations are off. Model Advisor checks these parameters only if there is a Stateflow® chart in the model. Application lifespan (days) is set as infinite. This could lead to expensive 64-bit counter usage. Choose a stop time if this is not intended. The specified diagnostics, which can increase the time it takes to simulate your model, are set to warning or error. The specified Embedded Coder® parameters are off. Select Single output/update function. For details, see Single output/update function (Simulink Coder). Select Ignore test point signals. For details, see Ignore test point signals (Simulink Coder). Set Pass reusable subsystem outputs as to Individual arguments. For details, see Pass reusable subsystem outputs as (Simulink Coder). If the system contains Model blocks and the referenced model is in Accelerator mode, simulating the model requires generating and compiling code. Checks for referenced models for which Simulink changes configuration parameter settings during accelerated simulation. For models referenced in accelerator mode, Simulink ignores the settings of the following configuration parameters that you set to a value other than None. Also, for models referenced in accelerator mode, Simulink ignores the following Configuration Parameters > Diagnostics > Data Validity > Data Store Memory block parameters if you set them to a value other than Disable all. For details, see Data Store Diagnostics. You want to see the results of running the identified diagnostics with settings to produce warnings or errors. Simulate the model in Normal mode and resolve diagnostic warnings or errors. Checks if parameter tunability information is included in the Model Parameter Configuration dialog box. Simulink software ignores tunability information specified in the Model Parameter Configuration dialog box. This check identifies those models containing parameter tunability information that Simulink software will ignore if the model is referenced by other models. Model contains ignored parameter tunability information. Click the links to convert to equivalent Simulink parameter objects in the MATLAB® workspace. Create Tunable Calibration Parameter in the Generated Code (Simulink Coder). Identify models that attempt to resolve named signals and states to Simulink.Signal objects. Requiring Simulink software to resolve all named signals and states is inefficient and slows incremental code generation and model reference. This check identifies those signals and states for which you may turn off implicit signal resolution and enforce resolution. Not all signals and states are resolved. Turn off implicit signal resolution and enforce resolution for each signal and state that does resolve. Resolve Signal Objects for Output Data. Identify virtual buses that could be made nonvirtual. Making these buses nonvirtual improves generated code efficiency. This check identifies blocks incorporating virtual buses that cross a subsystem boundary. Changing these to nonvirtual improves generated code efficiency. Blocks that specify a virtual bus crossing a subsystem boundary. Change the highlighted bus to nonvirtual. Exclude blocks and charts from this check if you have a Simulink Check license. Identify Discrete-Time Integrator blocks with state ports and initial condition ports that are fed by neither an Initial Condition nor a Constant block. Discrete-Time Integrator blocks with state port and initial condition ports might not be suitably initialized unless they are fed from an Initial Condition or Constant block. This is more likely to happen when Discrete-Time Integrator blocks are used to model second-order or higher-order dynamic systems. Discrete-Time Integrator blocks are not initialized during the model initialization phase. Add a Constant or Initial Condition block to feed the external Initial Condition port. Search model for disabled library links. Disabled library links can cause unexpected simulation results. Resolve disabled links before saving a model. This check may overlap with Check model for block upgrade issues. Library links are disabled. Click the Library Link > Resolve link option in the context menu. Use the Model Browser to find library links. To enable a broken link, right-click a block in your model to display the context menu. Select Library Link > Resolve link. Checks virtual bus signals that cross model reference boundaries and flags cases where using virtual buses across a model reference boundary increases the number of function arguments significantly. To improve the speed of the code generation process, you can use this check to reduce the number of generated function arguments. If the check finds a model that where many arguments will be generated for a function, you can click Update Model to modify the model so that it generates fewer arguments. Methods that generate many function arguments as the result of a virtual bus signal crossing model reference boundary slow down the code generation process. Methods are listed that generate a large number of arguments for the current the model configuration that this check can reduce by modifying the model. Click Update Model. Clicking Update Model resets Inport and Outport block parameters and inserts Signal Conversion blocks, as necessary, to reduce the number of generated function arguments for the model. Search model for parameterized library links. Parameterized library links that are unintentional can result in unexpected parameter settings in your model. This can result in improper model operation. Parameterized links are listed. Verify that the links are intended to be parameterized. Right-click a block in your model to display the context menu. Choose Link Options and click Go To Library Block to see the original block from the library. To parameterize a library link, choose Look Under Mask, from the context menu and select the parameter. Search the model for unresolved library links, where the specified library block cannot be found. Check for unresolved library links. Models do not simulate while there are unresolved library links. Library links are unresolved. Locate missing library block or an alternative. Search the model to identify configurable subsystem blocks at the model or subsystem level. Configurable subsystem blocks are identified. Convert these blocks to variant subsystem blocks to avoid compatibility issues. See Configurable Subsystem. You can run this check on your library models. Search the model to identify Variant Model blocks. Variant Model blocks available in the model are listed. Convert these blocks to Variant Subsystem blocks. Search the model to identify the Variant blocks or library having empty Variant objects. The Variant blocks in the model or library having empty Variant objects are listed. Use valid conditions in the variant objects. Check model diagnostic settings that apply to function-call connectivity and that might impact model execution. Check for connectivity diagnostic settings that might lead to non-deterministic model execution. Diagnostics > Connectivity > Invalid function-call connection is set to warning. This might lead to non-deterministic model execution. Set Diagnostics > Connectivity > Invalid function-call connection to error. Diagnostic > Connectivity > Context-dependent inputs is set to Disable All or Use local settings. This might lead to non-deterministic model execution. Set Diagnostics > Connectivity > Context-dependent inputs to Enable all as errors. Look for modeling issues related to Data Store Memory blocks. Checks for multitasking data integrity, strong typing, and shadowing of data stores of higher scope. The Duplicate data store names check is set to none or warning. Consider setting the Duplicate data store names check to error in the Configuration Parameters dialog box, on the Diagnostics > Data Validity pane. Choose a data type other than Inherit: auto on the Signal Attributes pane of the Block Parameters dialog for the Date Store Memory block. If you are using a global data store name, then specify its data type in the Simulink.Signal object. The Multitask data store check is set to none or warning. Consider setting the Multitask data store check to error in the Configuration Parameters dialog box, on the Diagnostics > Data Validity pane. For data store blocks in the model, enable the read-and-write diagnostics order checking to detect run-time issues. Check for the read-and-write diagnostics order checking. By enabling the read-and-write diagnostics, you detect potential run-time issues. The Detect read before write check is disabled. Consider enabling Detect read before write in the Configuration Parameter dialog box Diagnostics> Data Validity pane. The Detect write after read check is disabled. Consider enabling Detect write after read in the Configuration Parameter dialog box Diagnostics> Data Validity pane. The Detect write after write check is disabled. Consider enabling Detect write after write in the Configuration Parameter dialog box Diagnostics> Data Validity pane. The run-time diagnostics can slow simulations down considerably. Once you have verified that Simulink does not generate warnings or errors during simulation, set them to Disable all. Identify modeling errors due to the sample times of data store blocks. Check data store blocks for continuous or fixed-in-minor-step sample times. Data store blocks in your model have continuous or fixed-in-minor-step sample times. Consider making the listed blocks discrete or replacing them with either Memory or Goto and From blocks. Look for read/write issues which may cause inaccuracies in the results. During an Update Diagram, identify potential issues relating to read-before-write, write-after-read, and write-after-write conditions for data store blocks. Reading and writing (read-before-write or write-after-read condition) occur out of order. Consider restructuring your model so that the Data Store Read block executes before the Data Store Write block. Multiple writes occur within a single time step. Change the model to write data only once per time step or refer to the following Tips section. This check performs a static analysis which might not identify every instance of improper usage. Specifically, Function-Call Subsystems, Stateflow Charts, MATLAB for code generation, For Iterator Subsystems, and For Each Subsystems can cause both missed detections and false positives. For a more comprehensive check, consider enabling the following diagnostics on the Diagnostics > Data Validity pane in the Configuration Parameters dialog box: Detect read before write, Detect write after read, and Detect write after write. Identify blocks and Simulink.Signal objects that initialize bus signals by using mismatched structures. In a model, you can use a MATLAB structure to initialize a bus signal. For example, if you pass a bus signal through a Unit Delay block, you can set the Initial condition parameter to a structure. For basic information about initializing buses by using structures, see Specify Initial Conditions for Bus Signals. Run this check to generate efficient and readable code by matching the shape and numeric data types of initial condition structures with those of bus signals. Matching these characteristics avoids unnecessary explicit typecasts and replaces field-by-field structure assignments with, for example, calls to memcpy. Generate readable and efficient code. Support a modeling style that explicitly initializes unspecified signals. When you use partial structures, Simulink implicitly initializes unspecified signals. For more information about full and partial structures, see Create Full Structures for Initialization and Create Partial Structures for Initialization. This check lists blocks and Simulink.Signal objects whose initial condition structures introduce data type mismatches. The fields of these structures have numeric data types that do not match the data types of the corresponding bus signal elements. When you configure an initial condition structure to appear as a tunable global structure in the generated code, avoid unnecessary explicit typecasts by matching the data types. See Generate Tunable Initial Condition Structure for Bus Signal (Simulink Coder). Consider using the function Simulink.Bus.createMATLABStructure to create a full initial condition structure. Consider defining the structure as a Simulink.Parameter object, and creating a Simulink.Bus object to use as the data type of the bus signal and of the parameter object. To control numeric data types, use the Simulink.BusElement objects in the bus object. Identify Delay, Unit Delay, or Zero-Order Hold blocks that are used for rate transition. Replace these blocks with actual Rate Transition blocks. These blocks lose their algorithmic design properties to delay a signal or implement zero-order hold. Instead, they acquire rate transition behavior. This modeling technique works only in specific transition configurations (slow-to-fast for Delay and Unit Delay blocks, and fast-to-slow for Zero-Order Hold block). Set the block sample time to be equal to the slower rate (source for the Delay and Unit Delay blocks and destination for the Zero-Order Hold block). When the block sample time of a downstream or upstream block changes, these Delay, Unit Delay and Zero-Order Hold blocks might not perform rate transition. For example, setting the source and destination sample times equal stops rate transition. The blocks then assume their original algorithmic design properties. The block sample time shows incomplete information about sample time rates. The block code runs at two different rates to handle data transfer. However, the block sample time and sample time color show it as a single-rate block. Tools and MATLAB scripts that use sample time information base their behavior on this information. An alternative is to replace Delay, Unit Delay, or Zero-Order Hold blocks with actual Rate Transition blocks. The technique ensures unambiguous results in block behavior. Delay, Unit Delay, or Zero-Order Hold blocks act according to their algorithmic design to delay and hold signals respectively. Only Rate Transition blocks perform actual rate transition. Using an actual Rate Transition block for rate transition offers a configurable solution to handle data transfer if you want to specify deterministic behavior or the type of memory buffers to implement. Use this check to identify instances in your model where Delay, Unit Delay or Zero-Order Hold blocks undergo hidden replacement to provide rate transition between signals. Click Upgrade Model to replace these blocks with actual Rate Transition blocks. Model has no instances of Delay, Unit Delay, or Zero-Order Hold blocks used for rate transition. No action required. Model has instances of Delay, Unit Delay, or Zero-Order Hold blocks used for rate transition. The check identifies these instances and allows you to upgrade the model. Click Upgrade Model to replace with actual Rate Transition blocks. Save changes to your model. If you do not choose to replace the Delay, Unit Delay, and/or Zero-Order Hold blocks with actual Rate Transition blocks, Simulink continues to perform a hidden replacement of these blocks with built-in rate transition blocks. Identify calls to the internal function slDataTypeAndScale. In some previous versions of Simulink, opening a model that had been saved in an earlier version triggers an automatic upgrade to code for data type handling. The automatic upgrade inserts calls to the internal function slDataTypeAndScale. Although Simulink continues to support some uses of the function, if you eliminate calls to it, you get cleaner and faster code. The first argument is a Simulink.AliasType object. The first argument is a Simulink.NumericType object with property IsAlias set to true. Running Check for calls to slDataTypeAndScale identifies calls to slDataTypeAndScale that are required or recommended for replacement. In most cases, running the check and following the recommended action removes the calls. You can ignore calls that remain. Run the check unless you are sure there are not calls to slDataTypeAndScale. Required Replacement Cases Manually or automatically replace calls to slDataTypeAndScale. Cases listed require you to replace calls to slDataTypeAndScale. Recommended Replacement Cases For the listed cases, it is recommended that you manually or automatically replace calls to slDataTypeAndScale. Manual Inspection Cases Inspect each listed case to determine whether it should be manually upgraded. Do not manually insert a call to slDataTypeAndScale into a model. The function was for internal use only. Running Check for calls to slDataTypeAndScale calls the Simulink function slRemoveDataTypeAndScale. Calling this function directly provides a wider range of conversion options. However, you very rarely need more conversion options. Identify bus signals that Simulink treats as vectors. You cannot use bus signals that the Simulink software implicitly converts to vectors. Instead, either insert a Bus to Vector conversion block between the bus signal and the block input port that it feeds, or use the Simulink.BlockDiagram.addBusToVector command. Bus signals are implicitly converted to vectors. Use Simulink.BlockDiagram.addBusToVector or insert a Bus to Vector block. Model is not configured to identify bus signals that Simulink treats as vectors. In the Configuration Parameters dialog box, on the Diagnostics > Connectivity pane, set Bus signal treated as vector to error. Clicking Modify inserts a Bus to Vector block at the input ports of blocks that implicitly convert bus signals to vectors. Run this check before running Check consistency of initialization parameters for Outport and Merge blocks. For more information, see Correct Buses Used as Vectors. Identify function-call return values that might be delayed because Simulink software inserted an implicit Signal Conversion block. So that signals reside in contiguous memory, Simulink software can automatically insert an implicit Signal Conversion block in front of function-call initiator block input ports. This can result in a one-step delay in returning signal values from calling function-call subsystems. The delay can be avoided by ensuring the signal originates from a signal block within the function-call system. Or, if the delay is acceptable, insert a Unit Delay block in front of the affected input ports. The listed block input ports could have an implicit Signal Conversion block. Decide if a one-step delay in returning signal values is acceptable for the listed signals. If the delay is not acceptable, rework your model so that the input signal originates from within the calling subsystem. If the delay is acceptable, insert a Unit Delay block in front of each listed input port. Find continuous sample time, non-floating-point output signals. Non-floating-point signals might not represent continuous variables without loss of information. Signals with continuous sample times have a non-floating-point data type. On the identified signals, either change the sample time to be discrete or fixed-in-minor-step ([0 1]). Identify Merge blocks with parameter settings that can lead to unexpected behavior, and help migrate your model to simplified initialization mode. Run this check along with the other checks in the Migrating to Simplified Initialization Mode Overview. Simplified initialization mode was introduced in R2008b to improve the consistency of simulation results. For more information, see Simplified Initialization Mode and Classic Initialization Mode. This Model Advisor check identifies settings in the Merge blocks in your model that can cause problems if you use classic initialization mode. It also recommends settings for consistent behavior of Merge blocks. The results of the subchecks contain two types of statements: Failed and Warning. Failed statements identify issues that you must address manually before you can migrate the model to the simplified initialization mode. Warning statements identify issues or changes in behavior that can occur after migration. Check the run-time diagnostic setting of the Merge block. In the Configuration Parameters dialog box, set Detect multiple driving blocks executing at the same time step to error. Verify that the model simulates without errors before running this check again. Check for Model blocks that are using the PIL simulation mode. The simplified initialization mode does not support the Processor-in-the-loop (PIL) simulation for model references. Check for library blocks with instances that cannot be migrated. Examine the failed subcheck results for each block to determine the corrective actions. Check for single-input Merge blocks. Replace both the Mux block used to produce the input signal and the Merge block with one multi-input Merge block. Single-input Merge blocks are not supported in the simplified initialization mode. Check for root Merge blocks that have an unspecified Initial output value. If you do not specify an explicit value for the Initial output parameter of root Merge blocks, then Simulink uses the default initial value of the output data type. A root Merge block is a Merge block with an output port that does not connect to another Merge block. For information on the default initial value, see Initializing Signal Values. Check for Merge blocks with nonzero input port offsets. Clear the Allow unequal port widths parameter of the Merge block. Consider using Merge blocks only for signal elements that require true merging. You can combine other elements with merged elements using the Concatenate block. Check for Merge blocks that have unconnected inputs or that have inputs from non-conditionally executed subsystems. Set the Number of inputs parameter of the Merge block to the number of Merge block inputs. You must connect each input to a signal. Verify that each Merge block input is driven by a conditionally executed subsystem. Merge blocks cannot be driven directly by an Iterator Subsystem or a block that is not a conditionally executed subsystem. Check for Merge blocks with inputs that are combined or reordered outside of conditionally executed subsystems. Verify that combinations or reordering of Merge block input signals takes place within a conditionally executed subsystem. Such designs may use Mux, Bus Creator, or Selector blocks. Check for Merge blocks with inconsistent input sample times. Verify that input signals to each Merge block have the same Sample time. Failure to do so could result in unpredictable behavior. Consequently, the simplified initialization mode does not allow inconsistent sample times. Check for Merge blocks with multiple input ports that are driven by a single source. Verify that the Merge block does not have multiple input signals that are driven by the same conditionally executed subsystem or conditionally executed Model block. Check for Merge blocks that use signal objects to specify the Initial output value. Verify that the following behavior is acceptable. In the simplified initialization mode, signal objects cannot specify the Initial output parameter of the Merge block. While you can still initialize the output signal for a Merge block using a signal object, the initialization result may be overwritten by that of the Merge block. Simulink generates a warning that the initial value of the signal object has been ignored. Identify Outport blocks and conditional subsystems with parameter settings that can lead to unexpected behavior, and help migrate your model to simplified initialization mode. This Model Advisor check identifies Outport blocks and conditional subsystems in your model that can cause problems if you use the simplified initialization mode. It also recommends settings for consistent behavior of Outport blocks. The results of the subchecks contain two types of statements: Failed and Warning. Failed statements identify issues that you must address manually before you can migrate the model to the simplified initialization mode. Warning statements identify issues or changes in behavior can occur after migration. Check for blocks inside of the Iterator Subsystem that require elapsed time. Within an Iterator Subsystem hierarchy, do not use blocks that require a service that maintains the time that has elapsed between two consecutive executions. Since an Iterator Subsystem can execute multiple times at a given time step, the concept of elapsed time is not well-defined between two such executions. Using these blocks inside of an Iterator Subsystem can cause unexpected behavior. Check for Outport blocks that have conflicting signal buffer requirements. The Outport block has a function-call trigger or function-call data dependency signal passing through it, along with standard data signals. Some of the standard data signals require an explicit signal buffer for the initialization of the output signal of the corresponding subsystem. However, buffering function-call related signals lead to a function-call data dependency violation. Consider modifying the model to pass function-call related signals through a separate Outport block. For examples of function-call data dependency violations, see the example model sl_subsys_semantics. The Outport block is driven by a block with output that cannot be overwritten. The Ground block and the Constant block are examples of such blocks. The Outport block shares the same signal source with another Outport block in the same subsystem or in one nested within the current subsystem but having a different initial output value. One of the input signals of the Outport block is specifying a Simulink.Signal object with an explicit initial value. Check for Outport blocks that are driven by a bus signal and whose Initial output value is not scalar. For Outport blocks driven by bus signals, classic initialization mode does not support Initial Condition (IC) structures, while simplified initialization mode does. Hence, when migrating a model from classic to simplified mode, specify a scalar for the Initial Output parameter. After migration completes, to specify different initial values for different elements of the bus signal, use IC structures. For more information, see Create Initial Condition Structures. Check for Outport blocks that require an explicit signal copy. An explicit copy of the bus signal driving the Outport block is required for the initialization of the output signal of the corresponding subsystem. Insert a Signal Conversion block before the Outport block, then set the Output parameter of the Signal Conversion block to Bus copy. A block with output that cannot be overwritten is driving the Outport block. The Ground block and the Constant block are examples of such blocks. Check for merged Outport blocks that inherit the Initial Output value from Outport blocks that have been configured to reset when the blocks become disabled. When Outport blocks are driving a Merge block, do not set their Output when disabled parameters to reset. Check for merged Outport blocks that are driven by nested conditionally executed subsystems. Determine if the new behavior of the Outport blocks is acceptable. If it is not acceptable, modify the model to account for the new behavior before migrating to the simplified initialization mode. Check for merged Outport blocks that reset when the blocks are disabled. Set the Output when disabled parameter of the Outport block to held. This setting is required because the Outport block connects to a Merge block. For more information, see Outport. Check for Outport blocks that have an undefined Initial output value with invalid initial condition sources. When the Initial output parameter is unspecified (), it inherits the initial output from the source blocks. If at least one of the sources of the Outport block is not a valid source to inherit the initial value, the block uses the default initial value for that data type. For simplified initialization mode, valid sources an Outport blocks can inherit the Initial output value from are: Constant, Initial Condition, Merge (with initial output), Stateflow chart, function-call model reference, or conditionally executed subsystem blocks. Check Outport blocks that have automatic rate transitions. Simulink has inserted a Rate Transition block at the input of the Outport block. Specify the Initial output parameter for each Outport block. In the Configuration Parameters dialog box, on the Solver pane, clear the option Automatically handle rate transition for data transfer. Run this Model Advisor check again. Check Outport blocks that have a special signal storage requirement and have an undefined Initial output value. Specify the Initial output parameter for the Outport block. Set this value to  (empty matrix) to use the default initial value of the output data type. Check the Initial output setting of Outport blocks that reset when they are disabled. Specify the Initial output parameter of the Outport block. You must specify the Initial output value for blocks that are configured to reset when they become disabled. Check the Initial output setting for Outport blocks that pass through a function-call data dependency signal. Set the Initial output parameter of the Outport block to . Provide the initial value at the source of the data dependency signal rather than at the Outport block. Check for Outport blocks that use signal objects to specify the Initial output value. In the simplified initialization mode, signal objects cannot specify the Initial output parameter of an Outport block. You can still initialize the input or output signals for an Outport block using signal objects, but the initialization results may be overwritten by those of the Outport block. If you are working with a conditionally executed subsystem Outport block, Simulink generates a warning that the initial value of the signal object has been ignored. Check for library blocks with instances that have warnings. Examine the warning subcheck results for each block before migrating to the simplified initialization mode. Check for merged Outport blocks that are either unconnected or connected to a Ground block. The Outport block is driving a Merge block, but its inputs are either unconnected or connected to Ground blocks. In the classic initialization mode, unconnected or grounded outports do not update the merge signal even when their parent conditionally executed subsystems are executing. In the simplified initialization mode, however, these outports will update the merge signal with a value of zero when their parent conditionally executed subsystems are executing. Check for Outport blocks that obtain the Initial output value from an input signal when they are migrated. The Initial output parameter of the Outport block is not specified. As a result, the simplified initialization mode will assume that the Initial output value for the Outport block is derived from the input signal. This assumption may result in different initialization behavior. If this behavior is not acceptable, modify your model before you migrate to the simplified initialization mode. Check for outer Outport blocks that have an explicit Initial output. In classic initialization mode, the Initial output and Output when disabled parameters of the Outport block must match those of their source Outport blocks. In simplified initialization mode, Simulink sets the Initial output parameter of outer Outport blocks to  (empty matrix) and Output when disabled parameter to held. Check for conditionally executed subsystems that propagate execution context across the output boundary. The Propagate execution context across subsystem boundary parameter is selected for the subsystem. Execution context will still be propagated across input boundaries; however, the propagation will be disabled on the output side for the initialization in the simplified initialization mode. Check for blocks that read input from conditionally executed subsystems during initialization. Some blocks, such as the Discrete-Time Integrator block, read their inputs from conditionally executed subsystems during initialization in the classic initialization mode. Simulink performs this step as an optimization technique. This optimization is not allowed in the simplified initialization mode because the output of a conditionally executed subsystem at the first time step after initialization may be different than the initial value declared in the corresponding Outport block. In particular, this discrepancy occurs if the subsystem is active at the first time step. Check for a migration conflict for Outport blocks that use a Dialog as the Source of initial output value. Other instances of Outport blocks with the same library link either cannot be migrated or are being migrated in a different manner. Review the results from the Check for library blocks with instances that cannot be migrated to learn about the different migration paths for other instances of each Outport block. The Outport block will maintain its current settings and use its specified Initial output value. Check for a migration conflict for Outport blocks that use Input signal as the Source of initial output value. The Outport block currently specifies an Initial output of  (empty matrix), and the Output when disabled as held. This means that each outport does not perform initialization, but implicitly relies on source blocks to initialize its input signal. After migration, the parameter Source of initial output value will be set to Input signal to reflect this behavior. Check for a migration conflict for Outport blocks that have SimEvents® semantics. The Outport blocks will continue to use an Initial output value of  (empty matrix) and an Output when disabled setting of held. Simulink will maintain these settings because their parent conditionally executed subsystems are connected to SimEvents blocks. Check for a migration conflict for innermost Outport blocks with variable-size input and unspecified Initial output. For these Outport blocks, the signal size varies only when the parent subsystem of the block is re-enabled. Therefore, Simulink implicitly assumes that the Initial output parameter is equal to 0, even though the parameter is unspecified, . Consequently, unless you specify the parameter, the Model Advisor will explicitly set the parameter to 0 when the model is migrated to the simplified initialization mode. Check for a migration conflict for Outport blocks that use a default ground value as the Initial output. The parameter Initial output is set to  (empty matrix) and the source of the Outport is an invalid initial condition source. Thus, the block uses the default initial value as the initial output in the simplified initialization mode. Other instances of Outport blocks with the same library link either have errors or are being migrated differently. Check for a migration conflict for merged Outport blocks without explicit specification of Initial output. Review the results from the subcheck Check for library blocks with instances that cannot be migrated to learn about different migration paths for other instances of each Outport block. For the remaining Outport blocks, Initial output is set to  (empty matrix) and Output when disabled is set to held respectively, in simplified initialization mode. Identify Discrete-Time Integrator blocks with parameter settings that can lead to unexpected behavior, and help migrate your model to simplified initialization mode. This Model Advisor check identifies settings in Discrete-Time Integrator blocks in your model that can cause problems if you use the simplified initialization mode. It also recommends settings for consistent behavior of Discrete-Time Integrator blocks. The results of the subchecks contain two types of statements: Failed and Warning. Failed statements identify issues that you must address manually before you can migrate the model to the simplified initialization mode. Warning statements identify issues or changes in behavior that can occur after migration. Check for Discrete-Time Integrator blocks whose parameter Initial condition setting is set to Output. Determine if the new behavior of the Discrete-Time Integrator blocks is acceptable. If it is not acceptable, modify the model to account for the new behavior before migrating to the simplified initialization mode. Check for Discrete-Time Integrator blocks whose Initial condition setting parameter is set to State (most efficient) and are in a subsystem that uses triggered sample time. Use periodic sample time for the block, or set Initial Condition setting to Output. Do not run this check in isolation. Run this check along with the other checks in the Migrating to Simplified Initialization Mode Overview. 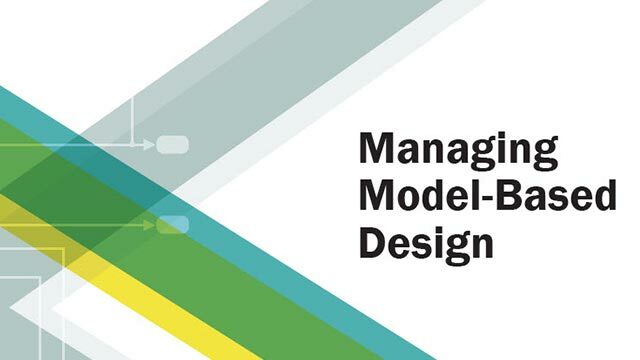 Identify settings in Model blocks and model configuration parameters that can lead to unexpected behavior, and help migrate your model to simplified initialization mode. Simplified initialization mode was introduced in R2008b to improve consistency of simulation results. For more information, see Simplified Initialization Mode and Classic Initialization Mode. This Model Advisor check identifies issues in the model configuration parameters and Model blocks in your model that can cause problems when you migrate to simplified initialization mode. The results of the subchecks contain two types of statements: Failed and Warning. Failed statements identify issues that you must address manually before you can migrate the model to simplified initialization mode. Warning statements identify issues or changes in behavior that can occur after migration. After running this Model Advisor consistency check, if you click Explore Result button, the messages pertain only to blocks that are not library-links. Because it is difficult to undo these changes, select File > Save Restore Point As to back up your model before migrating to the simplified initialization mode. For more information, see Model Configuration Parameters: Connectivity Diagnostics. Verify that all Model blocks are using the simplified initialization mode. Migrate the model referenced by the Model block to the simplified initialization mode, then migrate the top model. Set Configuration Parameters > Underspecified initialization detection to Simplified. If an Outport block has the Initial output parameter set to the empty character vector, , then the SourceOfInitialOutputValue parameter is set to Input signal. If an Outport has an empty Initial output and a variable-size signal, then the Initial output is set to zero. Perform quality checks on S-functions in Simulink models or subsystems. The S-function analyzer performs quality checks on S-functions to identify improvements and potential problems in the specified model. Continuous states are modified in mdlOutputs method. Modify Continuous States at a major time step and use ssSetSolverNeedsReset function in S-function code. Continuous states are modified in the mdlUpdate method. Modify Continuous States only at a major time step and use ssSetSolverNeedsReset function in S-function code. S-function discrete states are modified in the mdlOutputs at a minor step. Modify the discrete states only at a major step guarded by ssIsMajorTimeStep function. S-function mode vector is modified in the mdlOutputs method at a minor step. Modify the mode vector only at a major step guarded by sslsMajorTimeStep function. S-function is using static or global variables to declare internal states. Declare the states explicitly using ssSetNumDiscStates function or Model Global Data by Creating Data Stores. S-function has continuous states but sample time is not declared continuous. Specify continuous sample time using ssSetSampleTime function. S-function has discrete states but the mdlOutputs and mdlUpdate methods are combined. Define the mdlOutputs and mdlUpdate methods separately and modify discrete states only in mdlUpdate method. S-function sets the SS_OPTION_CAN_BE_CALLED_CONDITIONALLY option when having state-like data or multiple sample times. Remove the options when the S-function has state-like data or multiple sample times. MEX compilers do not exist on the machine. Check for the presence or install MEX compilers on the machine. S-function encounters errors while compiling the model. Check the Diagnostic Viewer output and recompile the model. Identify noncontinuous signals that drive derivative ports. Noncontinuous signals that drive derivative ports cause the solver to reset every time the signal changes value, which slows down simulation. There are noncontinuous signals in the model driving derivative ports. Make the specified signals continuous. Replace the continuous blocks receiving these signals with discrete state versions of the blocks. Check array bounds and solver consistency if S-Function blocks are in the model. Validates whether S-Function blocks adhere to the ODE solver consistency rules that Simulink applies to its built-in blocks. Solver data inconsistency is set to none. In the Configuration Parameters dialog box, set Solver data inconsistency to warning or error. Check for characters in the model file that cannot be represented in the current encoding. These can cause errors during simulation, and may be corrupted when saving the model. Incompatible characters found Change the current encoding to the encoding specified in the model file, using slCharacterEncoding. To change the current encoding you need to close the models, and this closes the Model Advisor. Use slCharacterEncoding to change the encoding. This setting applies to the current MATLAB session, so if you restart MATLAB and want to open the same model, you will need to make the same change to the current encoding again. Identify instances of unit mismatches between ports in the model. Check for instances of unit mismatches between ports in the model. Unit mismatches found Change one of the mismatched unit settings to match the unit settings for the other port. Unit Specification in Simulink Models. Identify instances of automatic unit conversions in the model. Automatic unit conversions found Check that the converted units are expected for the model. Identify instances of disallowed unit systems in the model. Disallowed unit systems found Either choose a unit that conforms to the configured unit system, or select another unit system. For more information, see Restricting Unit Systems. Identify instances of unit specifications, not defined in the unit database, in the model. Undefined units found Change the unit to one that Simulink supports. Check for common block upgrade issues. Check blocks in the model for compatibility issues resulting from using a new version of Simulink software. Blocks with compatibility issues found. Click Modify to fix the detected block issues. Check update status for the Level 2 API S-functions. Consider replacing Level 1 S-functions with Level 2. Clicking Modify replaces blocks from a previous release of Simulink software with the latest versions. Check blocks for compatibility issues resulting from upgrading to a new version of Simulink software. Some block upgrades require the collection of information or data when the model is in the compile mode. For this check, the model is set to compiled mode and then checked for upgrades. Model contains Lookup Table or Lookup Table (2-D) blocks and some of the blocks specify Use Input Nearest or Use Input Above for a lookup method. Replace Lookup Table blocks and Lookup Table (2-D) blocks with n-D Lookup Table blocks. Do not apply Use Input Nearest or Use Input Above for lookup methods; select another option. Model contains Lookup Table or Lookup Table (2-D) blocks and some blocks perform multiplication first during interpolation. Replace Lookup Table blocks and Lookup Table (2-D) blocks with n-D Lookup Table blocks. However, because the n-D Lookup Table block performs division first, this replacement might cause a numerical difference in the result. Model contains Lookup Table or Lookup Table (2-D) blocks. Some of these blocks specify Interpolation-Extrapolation as the Lookup method but their input and output are not the same floating-point type. Replace Lookup Table blocks and Lookup Table (2-D) blocks with n-D Lookup Table blocks. Then change the extrapolation method or the port data types for block replacement. Model contains Unit Delay blocks with Sample time set to -1 that inherit a continuous sample time. Replace Unit Delay blocks with Memory blocks. Check that the model is saved in SLX format. Check whether the model is saved in SLX format. Model not saved in SLX format Consider upgrading to the SLX file format to use the latest features in Simulink. Simulink Projects can help you upgrade models to SLX format and preserve file revision history in source control. See Upgrade Model Files to SLX and Preserve Revision History. Check that the model does not have outdated SB2SL blocks. Check if the model contains outdated SB2SL blocks. Model contains outdated SB2SL blocks Consider upgrading the model to current SB2SL blocks. Clicking Update SB2SL Blocks replaces blocks with the latest versions. Check models for edited Model History property values that could be used with source control tool keyword substitution. This keyword substitution is incompatible with SLX file format. In the MDL file format you can configure some model properties to make use of source control tool keyword substitution. If you save your model in SLX format, source control tools cannot perform keyword substitution. Information in the model file from such keyword substitution is cached when you first save the MDL file as SLX, and is not updated again. The Model Properties History pane and Model Info blocks in your model show stale information from then on. Edited model history properties Manually or automatically reset the properties to the default values. Click the button to reset, or to inspect and change these properties manually, open the Model Properties dialog and look in the History pane. Use this check to find Model Info blocks that can be altered by external source control tools through keyword substitution. This check searches for character vectors in the Model Info block enclosed within dollar signs that can be overwritten by an external source control tool. Using third-party source control tool keyword expansion might corrupt your model files when you submit them. Keyword substitution is not available in SLX model file format. For a more flexible interface to source control tools, use a Simulink project instead of the Model Info block. See About Source Control with Projects. Review the list of fields in the report, then remove the keyword character vectors from the Model Info block. Use this check to find Model Info blocks that use the Configuration Manager. Model Info blocks using the Configuration Manager allow risky keyword substitution using external source control tools. Using third-party source control tool keyword expansion might corrupt your model files when you submit them. Keyword substitution is not available in SLX model file format. The Configuration Manager for the Model Info block will be removed in a future release. A Model Info block is using the Configuration Manager. Click Remove the Configuration Manager. Lists 3DoF and 6DoF blocks are outdated. This check searches for 3DoF and 6DoF blocks from library versions prior to 3.13 (R2014a). Blocks configured with old versions of 3DoF or 6DoF blocks found. Click Replace 3DoF and 6DoF Blocks to replace the blocks with latest versions. Clicking Replace 3DoF and 6DoF Blocks replaces blocks with the latest versions. Lists blocks configured to use FlightGear versions that are outdated or not supported. This check searches and lists blocks configured to use FlightGear versions that are outdated or not supported. Blocks configured with old versions of FlightGear are found. Click Update FlightGear blocks to change block settings to latest supported version of FlightGear. Then, download latest version of FlightGear that MATLAB supports. Clicking Update FlightGear blocks changes block settings to the latest supported version of FlightGear. Searches for Three-Axis Inertial Measurement Unit, Three-Axis Gyroscope, and Three-Axis Accelerometer blocks prior to 3.21 (R2018a). This check searches for Three-Axis Inertial Measurement Unit, Three-Axis Gyroscope, and Three-Axis Accelerometer blocks that have been updated in R2018a. Three-Axis Inertial Measurement Unit, Three-Axis Gyroscope, and Three-Axis Accelerometer blocks prior to R2018a. In R2018a or later, if you did not previously solve for steady state conditions, save the model now. If you previously solved for steady state conditions for the model, solve for these steady state conditions again, and then save the model. Check for libraries that should be updated to use promoted parameters. This check searches libraries created before R2011b for masked blocks that should be updated to use promoted parameters. Since R2011b, if a block parameter is not promoted, its value in the linked block is locked to its value in the library block. This check excludes blocks of type Subsystem, Model reference, S-Function and M-S-Function. Check identifies masks using image display commands with unnecessary calls to the imread() function. This check searches for the mask display commands that make unnecessary calls to the imread() function, and updates them with mask display commands that do not call the imread() function. Since 2013a, a performance and memory optimization is available for mask images specified using the image path instead of the RGB triple matrix. Mask display commands that make unnecessary calls to the imread() function are found. Click Update. Once the blocks have been updated, run the check again. Check identifies if the mask icon drawing commands have dependency on the mask workspace. This check identifies if the mask icon drawing commands have dependency on the mask workspace and updates the RunInitForIconRedraw property accordingly. If there is no mask workspace dependency, the value of RunInitForIconRedraw is set to off, whereas, if there is mask workspace dependency the values is set to on. Setting the values of RunInitForIconRedraw to off when there is no mask workspace dependency optimizes the performance by not executing the mask initialization code before drawing the block icon. Mask drawing commands that are dependent or independent of the mask workspace are found. Click Update. Once the blocks have been updated, run the check again. This check identifies masked blocks that specify tabs in mask dialog using the MaskTabNames parameter. This check identifies masked blocks that use the MaskTabNames parameter to programmatically create tabs in the mask dialog. Since R2013b, dialog controls are used to group parameters in a tab on the mask dialog. Masked blocks that use the MaskTabNames parameter to create tabs programmatically in the mask dialog are found. Click Upgrade available in the Action section. Once the blocks have been updated, run the check again. For a strict single-precision design, this check identifies the blocks that introduce double-precision operations, and non-optimal model settings. Double-precision floating-point operations found in model. Block input and output data types are set correctly. In the Configuration Parameters dialog box, Default for underspecified data type is set to single. All target-specific math libraries used by the model support single-precision implementations. Set Configuration Parameters > Standard math library to C99 (ISO). In the Configuration Parameters dialog box, Implement logic signals as Boolean data is selected. Use this check to identify MATLAB files in your working environment that contain get_param function calls to return the block CompiledSampleTime parameter. For multi-rate blocks (including subsystems), Simulink returns the block compiled sample time as a cell array of the sample rates in the block. The return value is a cell array of pairs of doubles. MATLAB code that accepts this return value only as pairs of doubles can return an error when called with a multi-rate block. Use this check to identify such code in your environment. Modify these instances of code to accept a cell array of pairs of doubles instead. For example, consider a variable blkTs, which has been assigned the compiled sample time of a multi-rate block. Instead, use this code, for which blkTs can be a cell array or a pair of doubles. The above code checks for a triggered type sample time (triggered or async). In cases in which a block has constant sample time ([inf,0]) in addition to triggered or async or when a block has multiple async rates, this alternative property detects the triggered type sample time. This check scans MATLAB files in your environment. If the check finds instances of MATLAB code that contain get_param calls to output the block compiled sample time, Upgrade Advisor displays these results. It suggests that you modify code that accepts the block compiled sample time from multi-rate blocks. Use this check to identify if the simulation result is returned as a single Simulink.SimulationOutput object. This check scans your model to verify if the parameter ReturnWorkspaceOutputs is enabled. Enabling this parameter, returns simulation outputs in a Simulink.SimulationOutput when simulating interactively. Simulation outputs include signal, state, output, DSM logging, and scope and To Workspace block logging. Easier management of simulation data. Compatibility with multiple parallel simulations and batch simulations. Use this check to identify issues in the model that occur when you initialize parameters or tune them. The model has rate transition issues. Select Automatically handle rate transition for data transfer in the Solver pane of the model configuration parameters. The model has a divide by zero issue in a conditionally executed subsystem with a control port. The model has an invalid control port value in a conditionally executed subsystem. Select Upgrade model to resolve issues in the model related to parameter initialization and tuning. Check virtual bus signals that cross model reference boundaries. This check identifies root-level Inport and Outport blocks in referenced models and Model blocks with virtual bus outputs that require updates to change to nonvirtual bus signals. For root-level Inport blocks — Enable the Output as nonvirtual bus parameter and insert a Signal Conversion block after the Inport block. The Signal Conversion block is configured to output a virtual bus. For root-level Outport blocks — Enable the Output as nonvirtual bus in parent model parameter. For Model blocks — For ports whose Outport blocks were updated to address issues, insert a Signal Conversion block after the corresponding ports of the Model block. The Signal Conversion block is configured to output a virtual bus. To resolve issues, click Upgrade Model. Run the Analyze model hierarchy and continue upgrade sequence check on the top-level model and then down through the model reference hierarchy. Perform C++ code generation with the I/O arguments step method option. In the Configuration Parameters > Code Generation > Interface pane, click Configure C++ Class Interface. In the dialog box, set the Function specification parameter to Default step method. The conversion for non-auto storage class occurs only if you have the target generation license that the model requires. For example, an ERT target requires an Embedded Coder license. Have Model blocks that reference models containing Outport blocks that have been fixed — Clicking Upgrade Model updates Model blocks referencing the models that had Outport blocks fixed by the Analyze model hierarchy and continue upgrade sequence check. This check identifies custom library blocks in the model that depend on the frame status of the signal. This check searches for the custom library blocks in a model that depend on the frame status of the signal. The check analyzes the blocks, recommends fixes, and gives reasons for the fixes. You must make the fixes manually. The check finds custom library blocks that depend on the frame status of the signal. Follow the recommendation given by the Upgrade Advisor. You can run this check only on custom library blocks in your model. You must make the fixes manually. This check appears only if you have the DSP System Toolbox™ installed. Use this check on your model to identify your S-function's upgrade compatibility issues. These issues may include the use of 32-bit APIs, compilation with incompatible options, or use of deprecated separate complex APIs. Some common issues and information related to the fixes are described in results and recommendations section below. When upgrading your S-functions to use the features in the latest release, this check scans your model to warn against S-function upgrade incompatibility issues. If the result of this check gives a warning or error, fix your C MEX S-functions according to the description. Custom-built S-functions are not supported. Recompile your S-function with available compatible options. See Custom-built MEX File Not Supported In Current Release (MATLAB) for more information. S-function is not compiled with the latest API (mex -R2018a). Recompile using the latest flag (mex -R2018a). See MEX File Is Compiled With Outdated Option (MATLAB) for more information. Modify your code according to the instructions in MEX File Calls A 32-bit Function (MATLAB). S-function is using deprecated separate complex APIs (mexGetPi, mexSetPi, mexGetImagData, mexSetImagData). Use interleaved complex APIs and recompile your code with the latest flag (mex -R2018a). See Upgrade MEX Files to Use Interleaved Complex API (MATLAB) for more information. S-function is using deprecated type-unsafe data API (mxGetData, mexSetData). Use type-safe data APIs and recompile your code. See MEX File Calls An Untyped Data Access Function (MATLAB) for more information. S-function is compiled with a future release and not supported in current release. See MEX File Built In MATLAB Release Not Supported In Current Release (MATLAB) to recompile your files. When simulating your model in rapid accelerator mode, use this check to find signals logged in your model that are globally disabled. Rapid accelerator mode supports signal logging. Use this check to enable signal logging globally. This check scans your model to see if a simulation is in rapid accelerator mode and whether the model contains signals with signal logging. If the check finds an instance and signal logging is globally disabled, an option to turn on signal logging globally appears. Simulation mode is not rapid accelerator. None. You can enable signal logging in rapid accelerator mode. Simulation mode is rapid accelerator. Upgrade Advisor did not find signals with signal logging enabled. None. The model does not use signal logging. Enable signal logging for signals and globally if you want to log signals. Simulation mode is rapid accelerator. Upgrade Advisor found signals with signal logging enabled. However, global setting for signal logging was disabled. Enable signal logging globally if you want to log signals with signal logging enabled. Signal logging was already globally enabled. Selecting Modify enables signal logging globally in your model. Check bus input signals for a set of blocks. Set an initial condition that is a MATLAB structure or zero. Specify a value for State name. In the Upgrade Advisor, click Modify. The check inserts a Bus to Vector block to attempt to convert virtual bus input signals to vector signals. For issues that the Upgrade Advisor identifies but cannot fix, modify the model manually. For details, see Correct Buses Used as Vectors. Clicking Modify inserts a Bus to Vector block at the input ports of blocks. For many models, running the Upgrade Advisor modifies your model so that bus signals are not treated as vectors. However, for some models you can encounter compatibility issues even after running the check. Modify your model manually to address those issues. After you compile the model using Upgrade Advisor, the Simulink Editor sometimes indicates that you need to save the model (the model is dirty), even though you did not make changes. To prevent this issue from reoccurring for this model, save the model. A Data Store Memory block whose associated Data Store Read or Data Store Write blocks read or write bus signal data must use a bus object. In the Data Store Memory block, set the Data Type signal attribute to Bus: <BusObject>. A Signal Conversion block whose Output parameter is set to Nonvirtual bus requires a virtual bus input. A Signal Conversion block whose Output parameter is set to Virtual bus requires a nonvirtual bus input. To create a copy of the input signal, set Output to Signal copy. Merge, Switch, or Multiport Switch blocks with multiple bus inputs require those inputs to have the same names and hierarchy. Reconfigure the model so that the bus inputs have the same names and hierarchy. A root Inport block that outputs to a virtual bus must inherit the dimensions. Set the Inport block Port dimensions signal attribute to 1 or -1 (inherit). A Mux block cannot accept nonvirtual bus signals. To treat the output as an array, replace the Mux block with a Vector Concatenate block. If you want a virtual bus output, use a Bus Creator block to combine the signals. A nonbus signal does not need a Bus to Vector block. Remove the Bus to Vector block. The Upgrade Advisor converts the Assignment block Y0 port bus input to a vector. Add a Bus to Vector block before the Assignment block. An S-function that is not a Level-2 C S-function does not support nonvirtual bus signals. Change the S-function to be a Level-2 C S-function. Consider using an S-Function Builder block to create a Level-2 C S-function. In a Stateflow chart, you cannot parameterize the data type of an input or output in terms of another input or output if the data type is a bus object. For the parameterized port, set Data Type to Bus: <object name>. An Inport block inside a subsystem in a Stateflow chart requires a bus object data type if its signal is a bus. In the Inport block, set Data type to Bus: <object name>. The output signal of a Ground block cannot be a source for a bus. Use a Constant block with Constant value set to 0 and the Output data type signal attribute set to Bus: <object name>. The input to the Outport block must be a bus if it specifies a bus object as its data type. In the Outport block, set Data type to Inherit: auto. Use this check to identify root outports with a constant sample time used with an AUTOSAR target, Function Prototype Control, or the model C++ class interface. Root outports with constant sample time are not supported when using an AUTOSAR target, Function Prototype Control, or the model C++ class interface. Use this check to identify root Outport blocks with this condition and modify the blocks as recommended. Set the sample time of the block to the fundamental sample time. Identify the source of the constant sample time and set its sample time to the fundamental sample time. Place a Rate Transition block with inherited sample time (-1) before the block. Check for child models and guide you through upgrade checks. If the check finds child models, it offers to run the Upgrade Advisor upon each child model in turn and continue the upgrade sequence. If you have a model hierarchy you need to check and update each child model in turn. If there are no child models, you still need to continue the check sequence until you have run both non-compile and compile checks. You must run upgrade checks in this order: first the checks that do not require compile time information and do not trigger an Update Diagram, then the compile checks. Click Continue Upgrade Sequence to run the next checks. If there are child models, this will open the next model. Keep clicking Continue Upgrade Sequence until the check passes. Child models found Click Continue Upgrade Sequence to run the next checks. If there are child models, this will close the current Upgrade Advisor session, and open Upgrade Advisor for the next model in the hierarchy. No child models, but more checks to run If there are no child models, click Continue Upgrade Sequence to refresh the Upgrade Advisor with compilation checks selected. The compile checks trigger an Update Diagram (marked with ^). Run the next checks and take advised actions. When you return to this check, click Continue Upgrade Sequence until this check passes. Best practice for upgrading a model hierarchy is to check and upgrade each model starting at the leaf end and working up to the root model. When you click Continue Upgrade Sequence, the Upgrade Advisor opens the leaf model as far inside the hierarchy as it can find. Subsequent steps guide you through upgrading your hierarchy from leaf to root model. The Upgrade Advisor opens each model and library in turn, from leaf to root, and selects the non-compile checks. Run the checks, take any advised actions, then click Continue Upgrade Sequence to open the next model and continue. When you reach the root end of the hierarchy, the Upgrade Advisor then opens each model again in the same order (but not libraries) and selects only the checks that require a model compile. Run the checks, take any advised actions, then click Continue Upgrade Sequence to open the next model. Continue until you reach the end of the hierarchy and this check passes. Identify potential execution order sensitivity when reading and writing to data stores. The execution order of blocks that read and write to the same data store can change the simulation result. When blocks in the same hierarchy access the same data store, the execution order is not deterministic. Data Store Memory block accessed by multiple blocks in the same hierarchy. Add a data dependency between the blocks. Move blocks into separate Function-Call Subsystem blocks and schedule them.